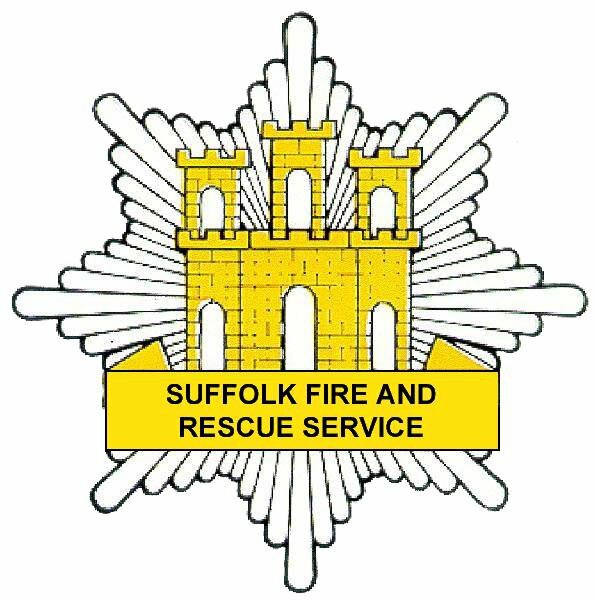 Today, I and my colleagues in Suffolk County Council’s Cabinet will be discussing proposals to launch a public consultation looking at future provision for Suffolk’s fire and rescue service. Clearly this is an emotive issue and one which will require full and thorough discussion. We have difficult decisions to make and we are committed to protecting vulnerable adults and children, so we have to look across all areas of the council in order to meet our budget gap. Here in Suffolk, we are incredibly fortunate to have a highly skilled and forward thinking fire service; a great deal of protection and prevention work has already taken place over the last 10 years which has made great inroads in reducing demand for its 999 services. In recent years SCC has done everything possible to protect our fire and rescue service against reductions in grant funding from central government. I am proud that we have driven forward our programme of investment in fire stations, training facilities, fire appliances, firefighting clothing and equipment. We are working collaboratively with Suffolk’s blue light emergency services, and plan to develop this further in the future. The proposed consultation will seek views on a range of specific proposals for changing the way the fire and rescue service is set-up across the county. The changes have been proposed to meet the ongoing reductions in funding for the fire service, but also to reflect the more than 30 per cent reduction in 999 call demand over the last 10 years. I accept that the proposals are challenging, but these have been shaped by feedback from a pre-consultation exercise which we carried out over the summer. I am also confident that the proposals mean that we will continue to deliver an outstanding service for the people of Suffolk and I would like to encourage people to take part in this consultation. It is vital that we hear from the people of Suffolk and that their input can shape how public services are delivered. There is much talk about Devolution in the air in Local Government at the moment, locally much of the time and energy of Councillors and Officers is focused on the emerging Norfolk and Suffolk Bid. At the heart of it is a proposition to government to allow us to have a greater impact on our local economy working alongside the New Anglia and Greater Cambridgeshire and Great Peterborough LEPs and the business community to create more high value jobs, grow the Business Rate and improve our local public sector system including how we work in a more integrated way with the county’s health care services. All of which is about how can we do more with less, how can we protect front line services by having a more joined up approach to Suffolk and now Norfolk and Suffolk. Whilst this is the focus as we seek to meet the Government’s deadline for submission, the other thing that looms large on our horizon is the coming council budget round. We all await the CSR but are under no illusions that it will bring anything but tough new saving targets for Local Government. So last week my SCC Cabinet Member for Finance and myself travelled to Horsham to attend a LGA Finance course, to look at budget setting and ways to find even more savings from the Council’s budget, there is always something to learn in any walk of life. Of course Devolution is never far from Councillors minds and in the conference room I sat next to Jonathan Bacon, who is the Leader of Isle of Wight Council, so inevitably we spend a fair while chatting about Devolution as the rumour has it that the IOW Council and Hampshire County Council are going to be successful in their bid. So as much as Richard and I tried to concentrate on the discussions during the course of the two days on finance, Devolution was never far from the table. In amongst the focus on those all-important GCSE and A level results, there is another set of results I look out for and that is Key Stage two results as these are the forerunner to future performance and educational attainment of Suffolk Children at 16+. The good news is that the percentage of pupils achieving the expected level in reading, writing and maths in primary schools in Suffolk is continuing to rise. Data released by the Department for Education today shows 77 per cent of 11-year-olds achieved level 4 or higher in their SAT tests in the three subjects in 2015 – a 4 percentage point rise from the 73 per cent achieving the benchmark in 2014. Statistics used here have been provided by the Department for Education (DFE). The statistics from the DFE are a statistical first release (SFR) and provide provisional 2015 key stage 2 national curriculum assessment results for pupils in schools in England at national, regional and local authority level. The validated figures will be published in October 2015. So the SFR says the Suffolk figure of 77 per cent significantly closes the gap to the national average which stands at 80%. Last year Suffolk was six percentage points behind the national average. Suffolk has improved on its ranking against all authorities and is now 118 out of 150. This is an improvement of 22 places from last year. 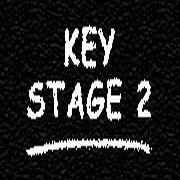 Another positive figure emerging for Suffolk is the progress in writing between Key Stages 1 and 2. The percentage of pupils making the expected progress went up from 89 per cent in 2014 to 91 per cent this year. The percentage of children making expected progress from key stage 1 to 2 in Reading and Maths also increased. Both areas seeing a one percentage point rise. So I think it’s congratulate to our students and all the staff that provide support to them. These results are a credit to them all and bode well for the direction of travel our educational attainment is heading. A couple of Friday’s ago, fresh in my new role on Suffolk County Council, I was on BBC Radio Suffolk Mark Murphy’s ‘Hot Seat’ an hour long grilling with phone in and tough questions from Mark. Earlier in the day the county council’s Labour Opposition Leader had described me as more acerbic and aggressive than my predecessor and I tend to think that is usually unfair but in his case when I have to listen to the unreformed Socialist nonsense he insists on repeating as he does, I suspect he gets that about right! 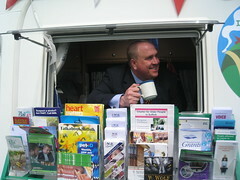 That aside, for me the interview was about setting out in part how we need to work together across Local government to protect services for the most vulnerable in our community that is Suffolk and deliver the services people expect from us, never sure the extent to which you get these things across in a free flowing interview but hope I did. I also hoped I got across just how much I love our county, I am Suffolk Born and Breed and I am once, twice and always a Lakenheath Boy. My childhood was spent on a Saturday watching the Blues from the then new Portman Road stand and our summer holidays were spent in Felixstowe at my parents holiday home in Western Avenue. I literally went to school in the back of a builders van and growing up at the dinner table its was all about business and the community in which we lived. We do things a certain way in Suffolk and its important that we mirror that, proud of what we do well, careful in how we plan but open to changing things if we can find a better way working with our partners and communities and it is clear with the emerging agenda on Devolution this way of working will be how we take public sector services forward in Suffolk not just local government but Health, police, indeed potentially the totality of government spend in our communities. So for all the savings we have to make, it is still a very exciting time to be in Local Government. And one of the wonderful things about being from Suffolk is the Suffolk Show, l was there last Wednesday and the weather was glorious and I had a pleasure to welcome the show President Terry Hunt and his wife Jane, to have a look around the County Council stand. It was designed to be how the public sector works with each and everyone of us as we make our journey through life and to be interactive, so it started with face painting for the kids from the team in Children’s services and finsihed with things like the Coffee Caravan, a voluntary sector organisation, talking about how they go out and explain the services available for older people in their community across Suffolk. 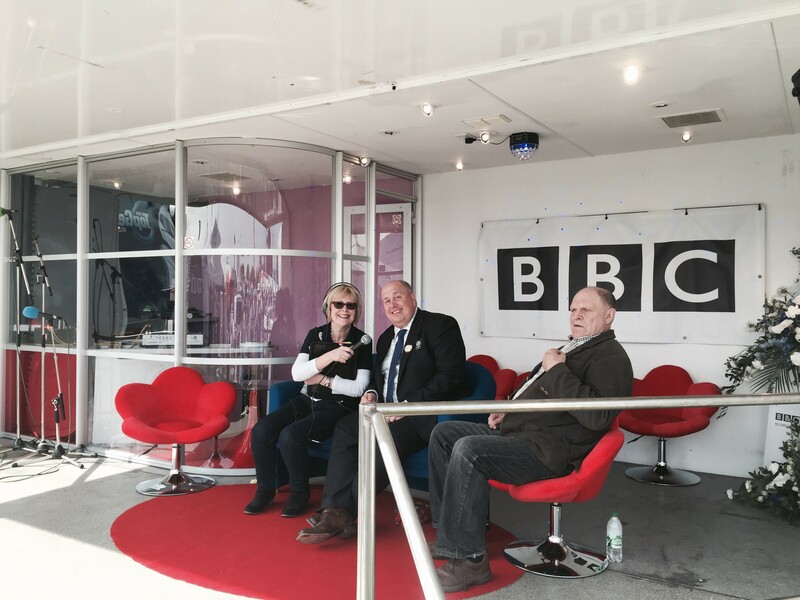 Just before I left to travel back for the Forest Heath District Council AGM I popped along to the Radio Suffolk stand and had a chat with Lesley Dolphin about all the great things at the show, a truly lovely celebration fo all things Suffolk. 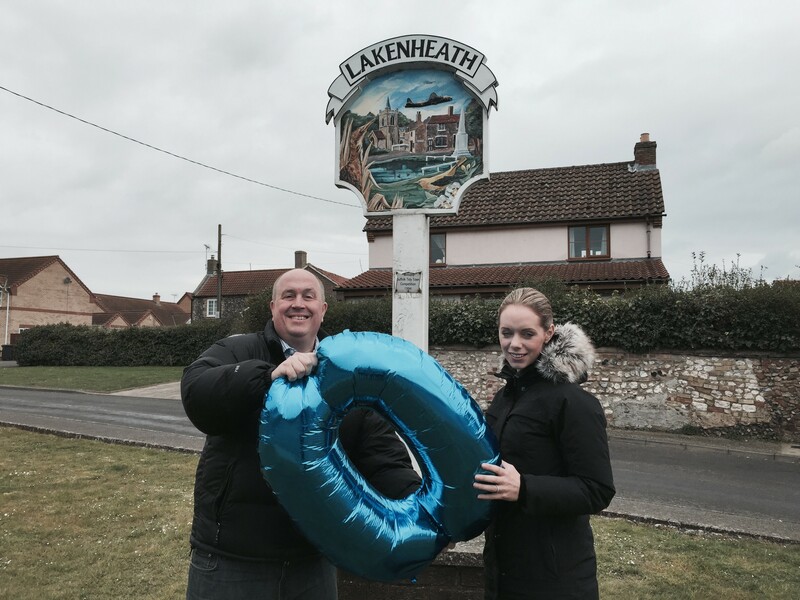 Louise Marston and me launching our Lakenheath Ward Campaign 2015 – the balloon represents 0% Council Tax rises! Well last week was a busy one to say the least. A week ago today I was delighted to be elected the Conservative Group Leader on Suffolk County Council, and thus Leader of the Council elect, ahead of it’s AGM on the 21st May. In my brief thank you to the Conservative group after my election, I thanked Mark Bee for his work over the past 4 years as Leader and whilst clearly we did not see eye to eye on some issues, he worked hard on a number of key policies not least the Broadband roll-out and he can look back at his time leading the way and driving this 4th utility forward with great pride. I ended by saying we now need to get back to the issue at hand, campaigning in our District and Borough elections and supporting our MPs in their campaigns for re-election. On Wednesday night we had the final Candidates team meeting for Forest Heath District Council and ran through the next few weeks on the door steps discussing our outstanding track record of shared services, staff reduction, quality services delivery and yet 5 years of no District Council Tax rises, helping Forest Heath’s resident in the best way possible, by protecting their hard earned money. So my time for the next few weeks, will be split between working in my business, canvassing and delivering in the General and Local Elections and taking a little time to sit down individually with my fellow Conservative Councillors on Suffolk County Council to discuss in more depth, the themes that emerged during the short leadership contest and how we as a group move forward. Group internal relations is hardly the stuff that has residents ‘on the edge of their seats’, as rightly its policies and what we are going to do that matters, but they are important. Last Tuesday I said we were each elected in our Division to come together in a Conservative group and run the County Council, and as a group we are at our strongest together. Alongside talking and listening to the people of Suffolk, it is as a group we’ll create Conservative policies that protect services here in Suffolk that people value. I am Suffolk born and breed and there is a certain way we do things here in Suffolk and it’s important that as a Council we are in step with that. We’ll make the savings we are required to make by central government, as we have done to date. We’ll plan carefully and discuss openly, we’ll value what we do well, but not be afraid to do things differently with our partners and communities to protect services, residents need to support their lives. The next few weeks are going to be really interesting for all of us, locally for me as I campaign to win my District ward and help others win theirs, alongside those discussions within the Conservative group on Suffolk County Council, ahead of the council’s AGM. But more importantly the country decides in the General Election, yesterday Labour launched their manifesto and you could see the danger signs of another Labour Government, this time propped up by the SNP. Today the Conservatives launch our manifesto and the difference will be stark, a real plan to continue to get us out of the mess the last Labour Government that Ed Miliband and the Ed Balls were a key part of, left this country in, or a return to the chaotic and damaging thinking of Labour. 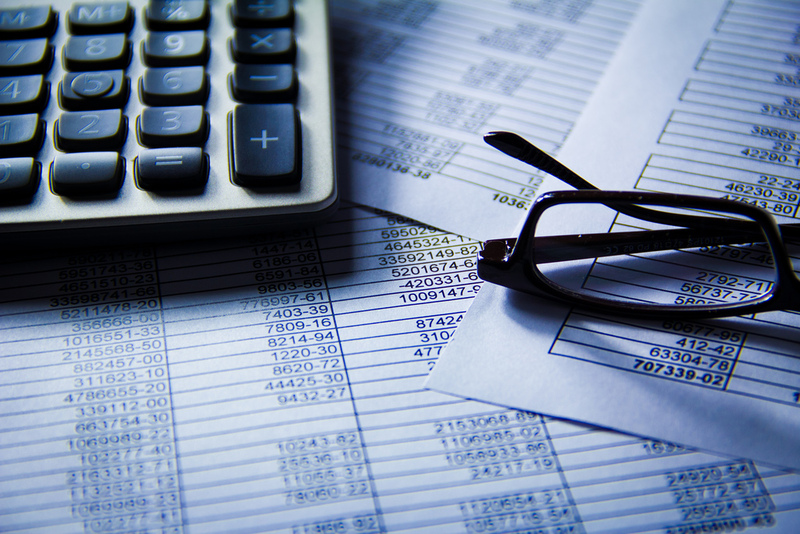 As we turn to the New Year and look forward to the political battles ahead, at both Suffolk County Council and Forest Heath District Council the challenges are about keeping the focus on protecting Front Line Services and holding the back office to account to find new ways of working to reduce costs. A recent set of national polling said that if there were to be more money in the system what people would want it spent on, the top three would be 1. A cut in income tax 2. A cut in VAT and 3. A cut in Council tax. So our promise and focus on protecting people’s hard earned money by not putting up the Council tax remains a clear priority as we balance what we have to spend on services and what we have to save. Over the course of the next 6 weeks Councillors across the country and at #suffolkcc and #forestheathdc in particular will be debating the final budget proposals for the coming year and through these very complex discussions I will hold these simply principles to be my guide. Conservative believe in protecting front line services, in ever smaller councils with low overhead expert at commissioning services from the private and voluntary sectors and are in the business of shaping and developing markets and services to serve the communities who elected us and protect the most vulnerable in our communities. Thus it also means we have no time for the greater glorification of a Council employing every more people which in my experience means doing ever less, costing ever more. You only have to go back to the last time Labour and the Liberals were in power in Suffolk to see that, the council tax rises and numbers of employees was truly shocking. As a Conservative I also believe the very best way to protect people to empower them to spend their own money as they see fit not take it off them to provide them with services they are perfectly capable of providing for themselves and to provide services to those who need our support. There are caveats to this such as universal services on our roads, in transport and waste, things that you need actual authorities to manage. So should be an interesting few weeks.